Mallorca is the largest of the Balearic Islands and offers some excellent walking destinations especially the lesser-known West Coast. We are based in the Sierra de Tramuntana Valley near Sòller, famous for its orange groves and small romantic villages, which the Moors called the golden "Suliar". Hidden rocky bays with crystal clear water, the scope for excursions and the magnificent scenery make this area a real paradise. Our walks, well away from the tourist resorts, lead us past orange and flowering almond plantations with marvellous views of the mountains and the sea. Both coast and mountains host a profusion of flora and fauna and the main cultivated plants are fig trees, almonds, orange and lemon trees, not to forget the olive and carob trees. 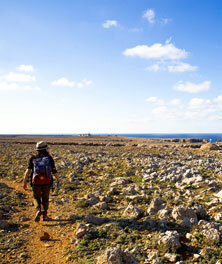 Menorca is the most easterly and greenest of the Balearic Islands. In spring we are rewarded with splendid displays of wild flowers, which include Cistus bushes, yellow Crown Daisies, purple gladioli, Asphodels and a wide variety of orchids, to name just a few. The island has several wetlands, which are important for birds. Although Menorca does not have the mountains like Mallorca, the scenery is spectacular and the rugged coastline is dotted with small inlets, coves and crystal clear bays. Our beautiful gentle walks into the interior of the island take us through some quaint timeless villages where time seems to have stood still. Here we might find some lively morning markets selling fresh local produce for our picnics. 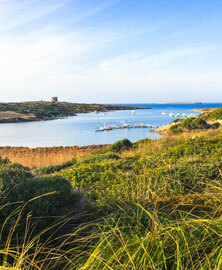 Menorca has a fascinating history and culture and was designated a UNESCO Biosphere as far back as 1993. 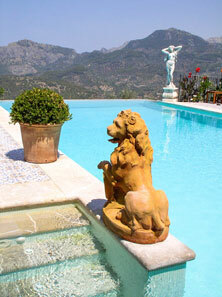 Our splendid hotel in Mallorca is situated in the olive and citrus groves above Sòller. After renovating the former 200-year old olive mill and two neighbouring "Fincas", a luxury hotel was created. It has a wonderful pool with stunning views, aromatic gardens and landscaped surroundings. In Menorca our hotel is right in the historic centre of the picturesque town of Ciutadella, from where we have easy access to all of our walks. The restaurants in both locations are excellent . 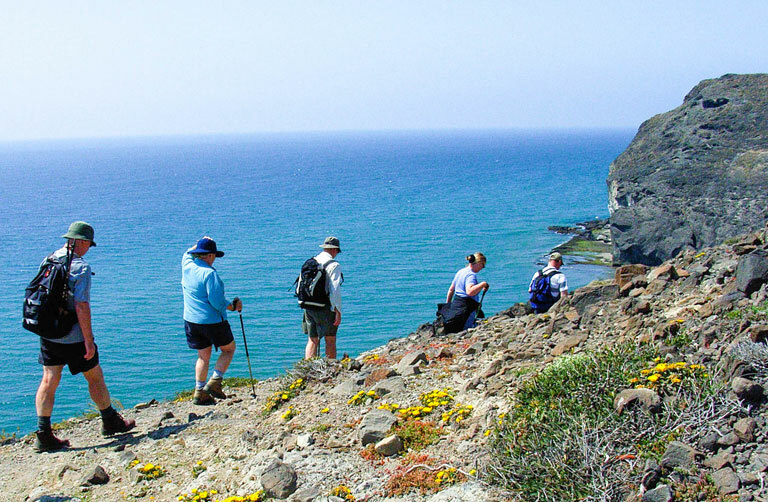 Departure dates have been arranged to allow the "Jewels of the Balearic Islands" and "Eastern Circuit" walks to be combined.